Acai juice truly is a natural wonder that is an excellent source of antioxidants and other nutrients. Studies have shown that acai juice contains more of the powerful heart healthy plant chemicals called anthocyanins than red wine. In fact, 10 times as much! So the hype about acai juice is not without some solid science. That being said, you really do need a high quality product to reap the health benefits of acai juice. There are some acai juice products on the market that are a plain waste of time. So here is a list of some of the things to look for to ensure you buy a high quality acai juice product. Drink organic acai juice. If you find an acai juice that proudly displays the USDA organic label then you can rest assured that it is a top quality product. The USDA only gives the stamp of approval to products that meet their high standards for organic agriculture and farming. They only approve products as organic if all the ingredients have been grown on land that has not be subjected to pesticides and other harmful chemicals for at least 3 years. Go for a glass bottle. Liquid products that are stored in plastic containers are contaminated by harmful chemicals that leach from the plastic into them. These chemicals are associated with health problems such as digestive issues and an increased risk of cancer. Study the label! This is very important, so that you know exactly what you are getting! If you are looking for 100% pure acai juice, the only ingredient that should be labeled is acai! There are some good products out there that mix acai with other kinds of fruit or berry juices but you need to be smart about what you buy. Look to see how much acai juice is actually in the product. Some scam based acai juice products will shamelessly title their product as “acai juice” but the actual amount of acai juice in it is very small. Sometimes even as little as 1%, or less!!! So if we follow the above guidelines for choosing out acai juice then it is almost certain we will reap the benefits of a great product. 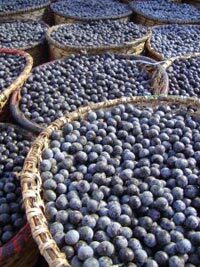 To learn more about this amazing berry visit what is acai juice?